Offer creative, grounding & renewing yoga experiences on the water. As SUP yoga has become a growing trend so has the need for experienced and certified instructors. As with yoga on land students are becoming more educated about their classes and teachers. These same students are seeking teachers who have specialty training to offer a safe and fun experience. With few certified teachers it makes for a high demand in a rapidly growing industry. At Just Be Well Yoga our aim is to offer teachers the skills to safely conduct beginner paddle lessons, SUP yoga classes, and an experience your students will not soon forget. We are passionate about offering the most up to date training available with the best equipment on the market. Upon culmination of training instructors will be equipped to teach and perform all varieties of stand up paddle techniques, water rescue techniques, adapt yoga to a paddle board, and thorough industry knowledge to successfully run a SUP yoga business. Upon completion, you will be eligible to use your training for Yoga Alliance CEUs. Instructions on this at the end of your training. Once registered, anyone can look up your certification and know you are certified and have met all requirements to teach safe SUP yoga, and guide your classes. Not all yoga teacher certifications are made equal. Yoga instructors have reported learning without a manual! We know everyone has a different learning style, this is why we created our Paddleboard Yoga Teacher Training Manual. Whether you're Visual, Auditory, or Kinesthetic, this training is tailored to help you learn at your level. Students can expect to have a deep understanding of yoga and a full range of SUP yoga knowledge: Posture (asana), breathing (pranayama), paddle technique, water safety. We limit our class size so every student receives personalized attention and have direct contact with their instructor. One factor that separates Just Be Well Yoga from other teacher trainings is our teacher development module. Most trainings offered only teach you how to instruct classes using their model, and that’s how most instructors fail. We have formulated the practice of finding your teaching voice and style, these two are a major key in your SUP yoga teaching. We help you find a teaching style that you build upon and find your voice teaching flow. In addition we will teach you to lead a safe and well balanced class. Asana of SUP Yoga - Verbal communication is an essential skill for yoga instructors on the water. 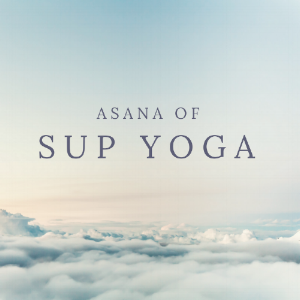 Yoga has a language all of it's own and SUP yoga event more so. We will cover an in-depth exploration of board terminology and use of language in a SUP yoga class. In additional we will cover adjusting pose alignment from on land to the water. Paddle Technique - Learn not only the mechanics of moving safely through different paddle board techniques but also how to guide others safely too. With the proper understanding of anatomy and movement students and teachers can enjoy a life long practice. 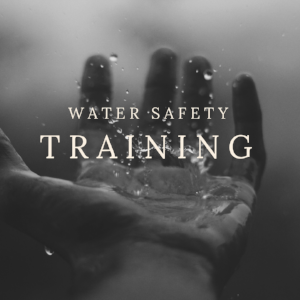 Water Safety Training - Learn not only the mechanics of water rescue, but also what techniques, laws, and situations to be aware of when running a SUP yoga class. With the proper understanding of water safety students and teachers will be confident when venturing out on the water. Business of Yoga - With the right mentors and knowledge it's easier to follow your passion and build a strong business in the yoga industry. Topics include social media strategy, industry trends, and how to get started. If you're not comfortable with water. If you cannot commit to eight hour day trainings. If you are not willing to create and maintain a safe, clean, and comfortable environment for the practice of SUP yoga. If you're planning on using words and actions that are disrespectful and harmful to others. If you're not respecting the rights, dignity, and privacy of all students. If you are not willing to adhere to the traditional yoga principles as written in the Yoga Sutras, Yamas and Niyamas. Enjoy this hidden gem in North Texas! We will host the May training on Marine Creek in Fort Worth and the June training on White Rock Lake in Dallas, Texas. We will break for lunch off site to one of many local eateries or cafe's. If you are traveling from out of town there are many nearby hotels for accommodations. Please let us know if you will need travel assistance to and from the DFW airport so we can help to accomodate your schedule. 25 hour course includes Friday - Sunday in person meeting as well as all previously mentioned materials and use of equipment. What are the dates of the "Paddle Board Yoga Teacher Training 2019"? The training dates are May 3rd - 5th in Fort Worth and June 14-16 in Dallas. We suggest to arrive a day early to get settled in and depart the day after graduation if you are traveling. No, you must have obtained a 200hr yoga teacher training prior to this supplemental training. The cost for the yoga teacher training + certification through Yoga Alliance International is $995. What does the Yoga Business Training Include? Foundation - Welcome to your first module! We will set the foundation of your yoga business, this is NOT a "Business" plan, you will do much more than that. We will make sure you set up you business correctly, have a target audience to make sure you succeed. Branding - 90% of yoga businesses get this wrong. A pretty logo, Instagram/Facebook account, posting a pretty yoga pose with a quote is NOT Branding. We're going to break down how to build your unique brand to stand out and make sure you are the ONLY logical choice. Marketing - Posting a flyer or going on social media asking people to sign up for yoga doesn't cut it anymore. Your target market has been bombarded with useless marketing techniques already, they're yoga salesy meter is alway on. We are going to dive deep into advanced marketing strategies that will help you launch your yoga business - studio - online training. We will cover marketing strategies online and offline, and softwares, tools we actually use everyday. Building Your Tribe - Building a loyal following is KEY when it comes to building your yoga business. We're going to cover what makes up a loyal following and how to use it as leverage to build your yoga business online or offline. Sales - Okay, this is where i see a lot of scared faces. Most yoga business owners are scared of sales, or being salesy! I get it, asking clients for the sale can be intimidating. The truth is... you don't have to "sell" to build your yoga business. I will show you how to properly use module 1 - module 4 so you don't have to "sale" your students. You will have an unfair advantage that you don't have to be a salesy yoga business, it will feel like recommending a friend to go watch a movie and not "buy my stuff". Scaling Your Yoga Business - We all get the warm fussy feeling or butterflies when we launch are business, but most yoga businesses fail if they don't have stamina or a scaling strategy. Scaling your yoga business means you pave the way for growth, the last thing you want to do is get stuck and plateau. This module comes in handy when you're a year into your business and you say "what now?, how do I grow from here?" Retention Strategies - It will cost you more money to gain a client than to retain one. Often the ones you retain will be your biggest promoters and contributors to your yoga business. This is one of my favorite modules, we will cover advanced strategies to retain the clients you worked so hard to gain their trust. It serves you no purpose if you're obtaining a lot of clients and loosing them the next month. The application fee of $100 USD is non-refundable, once accepted into Paddle board Yoga Teacher Training. In the case of an emergency situation – to be determined by Just Be Well Yoga – 100% of the total tuition may be refunded minus nonrefundable deposit up until 14 days before the Yoga Teacher Training’s start date, May 3, 2019. If for some reason you decide the Paddle board Yoga Teacher Training is not for you, simply send a written cancellation request to amanda@justbewellyoga.com within 14 days of the program start date and we will refund your tuition in full minus nonrefundable deposit. Please note: There will be NO refunds offered after this time (14 Days before training start date). You are responsible for notifying us within the agreed upon time frame should plans change.